More doctors and patients choose to have surgery at Methodist Hospital than any other hospital in the region. At Methodist Hospital, we are committed to delivering outstanding outcomes. If you or a loved one is scheduled for surgery, we encourage you to take an active role in your surgical experience. Ask questions, understand what is expected of you, and what you can expect of us, before and after the surgery. Some of the most innovative and advanced technology for surgery can be found here at Methodist Hospital. Minimally-invasive surgery is offered with two da Vinci robotic systems. Methodist Hospital is also the only hospital in the area with the Gamma Knife ultra-precise radiation to destroy tumors or lesions of the brain. Renovation and expansion of our surgical suites will provide state-of-the-art equipment and enhanced patient care areas. Access additional information at our Surgical Patients & Visitors page. 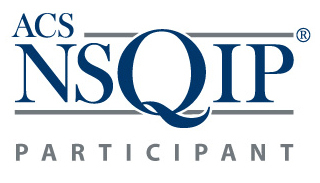 Since 2006, Methodist Hospital has participated in the American College of Surgeons' National Surgical Quality Improvement Program (NSQIP) to improve the quality of surgical care for our patients through data collection, identification of quality improvement targets and implementation of process improvement measures.